Best Buy shares were sinking Thursday following a first-quarter beat that failed to impress Wall Street. The problem, according to one market watcher, was that expectations were too high. “It was priced to perfection going into the number,” Boris Schlossberg, managing director of FX strategy at BK Asset Management, told CNBC in an email Thursday. 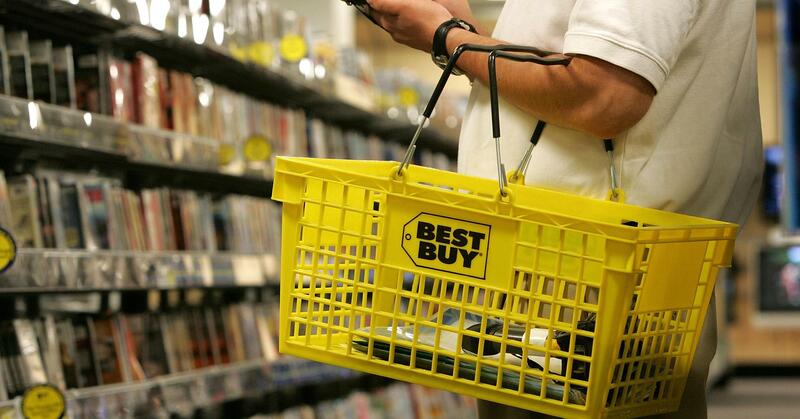 Best Buy shares declined by about 8 percent on Thursday even after a quarterly beat on its top and bottom lines. U.S. online sales rose, though at nearly half the pace of a year earlier. A sharp run-up to all-time highs last week made Schlossberg cautious on jumping in heading into earnings. He says that a price under $70 would become a scale-in buy where he adds to his position as the price decreases. Best Buy traded around $70 on Thursday. Best Buy’s guidance and overall performance confirm Schlossberg’s long-term bull case for the retailer. In an appearance on CNBC’s “Trading Nation” on Wednesday, Schlossberg said the company had done well in its strategy to survive in a tough retail environment. Michael Bapis of the Bapis Group at HighTower Advisors is bullish over the long term but is sitting on the sidelines for now. Best Buy’s recent quarter does give Bapis confidence in its future direction, though. Sales growth was driven by strong consumer demand, and e-commerce sales still look good, despite a slowdown, Bapis said in an email to CNBC on Thursday. “We would definitely own it long term because this space is in a technological boom that’s going to happen and keep happening for the next 20 to 40 years,” Bapis said Wednesday. Best Buy shares were on track to close Thursday with its worst daily performance since August. Its stock is still up 2 percent for the year. 0 responses on "Best Buy’s sell-off could soon be a buying opportunity: market watcher"